My husband is impossibly hard to shop for. He’s a “gadget guy” so I know what I get him has to not only be the latest, greatest and neatest gadget on the market, but it has to be something he can really use on a day to day basis. 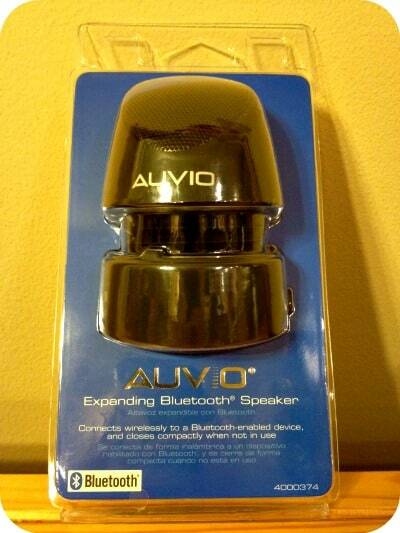 This year I’ve lucked out with the perfect little gadget for him from Radio Shack – the Auvio Expandable Bluetooth Speaker. 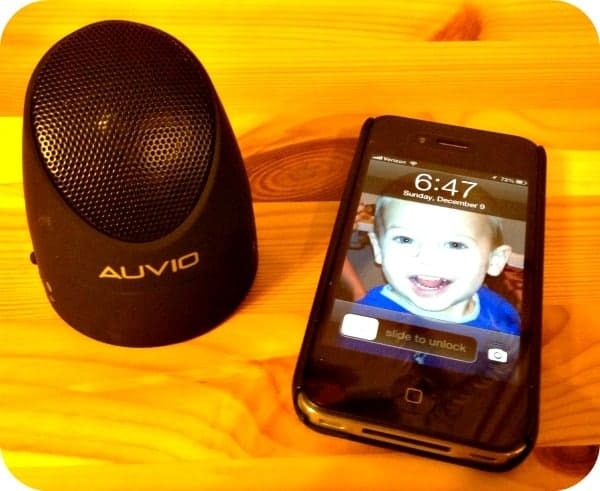 With all the music and video electronics we have in our house the Auvio Bluetooth Speaker is the perfect complement to our gadget collection. 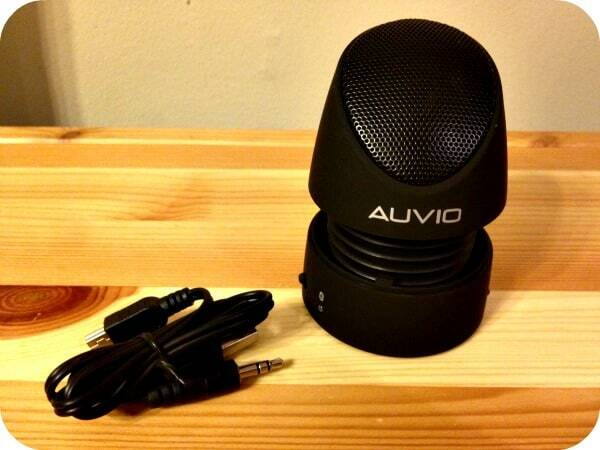 It’s small and compact, making it easy to place anywhere in our house where we want to listen to our music. Plus, it’s the perfect size to throw in our travel bags and work bags. The middle expands to enhance the sounds and the speaker has a 6-8 hour life when fully charged. Set-up was a breeze – all we had to do was pop the speaker out of the package, charge it up and let the Bluetooth systems of the speaker and our devices link up. Within just a few seconds of enabling the Bluetooth on my husband’s phone we were connected to the speaker. We then picked a favorite song to test out the speaker and hit play. Simple! The sound was great – very crisp and clear. And the best feature for me is no wires or cables. It really makes it easy to watch videos and listen to music on your phone. At $39.99, this is a great gift for any gadget fans in your life! Radio Shack has a lot of great toys and gadgets for your gift-giving needs this season. Shopping online at Radioshack.com is easy, but if you prefer to be hands-on, you can shop at one of their 7,300 retail stores. Radio Shack offers industry-leading support and expert advice that makes it easier to choose just the right solution for your lifestyle needs. To see the full line of products Radio Shack has to offer, check out their website. Oh of course, an iPad 🙂 Okay, okay.. how about batteries for all these xmas toys! I would like to have the VTech CS6114 Dect 6.0 Cordless Phone. I would love the Canon DSLR Camera. The TomTom® START 55TM GPS Receiver was on my xmas list. Samsung Galaxy S III! Great phone!